For a limited time, we are offering $60 dental check-up. Only available for next 50 patients which book online. Mention this offer when booking your appointment! Book your comprehensive check-up and clean today, private health insurance patients often pay nothing for their check-up. Book today and save over $300 on Zoom! Teeth Whitening. Only available for next 50 patients which book online. Invisalign provides an invisible solution for straightening teeth. There is no need for metal braces or wires. Invisalign is made with a series of clear, removable aligners. This provides a great option for anyone that does not want the traditional metal braces and our Melbourne Dentist know performs more Invisalign than traditional braces. We are happy to announce that we now provide free assessments with a trained Invisalign dentist. To schedule your free Invisalign appointment call us today on (03) 9088 0257. Invisalign works by using clear aligners. These aligners resemble a mouth guard but are thinner. Invisalign aligners are less noticeable than a mouth guard and less noticeable than metal braces. In fact, they are virtually invisible. The clear material used to create these aligners is made with medical-grade, non-toxic plastic. They are specially moulded to match your mouth and fit over your upper and lower teeth. As with braces, the aligners will gradually help align your teeth correctly. They will slowly push your teeth into the desired position. Every two to three weeks, you will get a new set of aligners. The length of time needed to correct your teeth will vary. It depends on the current alignment of your teeth. The average treatment time is between 12 and 24 months. Though, some individuals may only need Invisalign aligners for as little as 6 months. What are the Benefits of Choosing Invisalign? Why should you consider Invisalign over traditional braces? They offer numerous advantages. As mentioned, they are more discreet than other options. Invisalign aligners are nearly invisible. They are also easy to remove. You simply pull them out whenever you need to eat or drink. Invisalign users agree that the aligners are comfortable to wear, especially when compared to metal braces. There are no brackets or wires. This also means that Invisalign wearers do not have to spend as much time visiting their orthodontist for adjustments. Traditional braces can increase the difficulty of completing your regular oral hygiene routine. It is hard to brush or floss around the metal brackets and wires. This can increase the risk of tooth decay, as food debris may get stuck between the braces. Those risks do not exist with Invisalign aligners. They are easily removed. You can take them out before eating, brushing, or flossing. Unlike traditional braces, they do not get in the way of your brushing routine. Remove them at any time. Another benefit is the fact that Invisalign aligners do not cause permanent damage to the enamel of your teeth. Metal brackets require the use of strong adhesive to secure the brackets to your teeth. 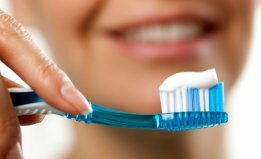 This adhesive can wear on the enamel, increasing the risk of cavities and tooth decay. Again, this is not an issue with Invisalign aligners, as no adhesive is used. The aligners are made to fit the shape of your teeth so that they can slide in and out with ease. Basically, Invisalign and traditional braces both help you get a beautiful smile by straightening your teeth. But, it is the process used to achieve this that varies between these two options. Invisalign aligners are nearly invisible, they are removable, and you will only need to visit the dentist every 6 to 8 weeks. Traditional braces are completely visible. Even if you choose clear wire, the metal brackets are still visible. The process of adjusting these brackets can be painful. Many patients notice pain during the adjustment that lasts for several hours. Some patients even experience mouth irritation and ulcers. The metal brackets are not removed at all during the adjustment process. For up to 12 months, you will have these brackets attached to your teeth, making it difficult to brush your teeth and floss. You also need to be careful with what you eat, to prevent sticky food from clinging to the brackets. In the end, the advantages of Invisalign aligners are clear. Traditional braces are an out-dated treatment for misaligned teeth. If you are ready for modern, 21st-century dental care, Invisalign is your best option. What Much Does Invisalign Cost? 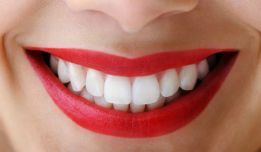 The costs of Invisalign aligners varies, depending on the long it takes to align your teeth, the number of aligners that need to be made, and other factors. 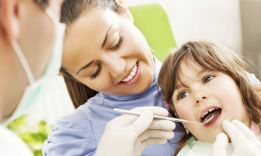 To determine the cost, you will need to make an appointment with a dentist at our clinic and after the an initial consultation, your dentist will provide you with a written treatment plan outlining all the costs. What about private health insurance? Many insurance plans cover Invisalign aligners. The exact coverage will also vary between insurance providers and coverage plans. Are There Any Risks with Invisalign Aligners? There are rare cases of patients experiencing nerve damage to a tooth. If this occurs, then a root canal or restorative treatment may be necessary. Also, the use of Invisalign aligners could potentially damage dental crowns or fillings. Some people experience discomfort while wearing Invisalign aligners. While you may experience moderate discomfort, this is mostly due to the aligners pushing your teeth in the proper direction. If additional discomfort is present, then perhaps the aligners will need to be adjusted. The aligner may break if excessive force is applied. This is also rare. If your aligner breaks, it should be immediately removed from your mouth. There have been cases of people swallowing broken aligners. On very rare occasions, patients may be allergic to the materials used to create the aligner. They may experience an allergic reaction, leading to inflammation. If you notice this irritation, then traditional braces may be required. 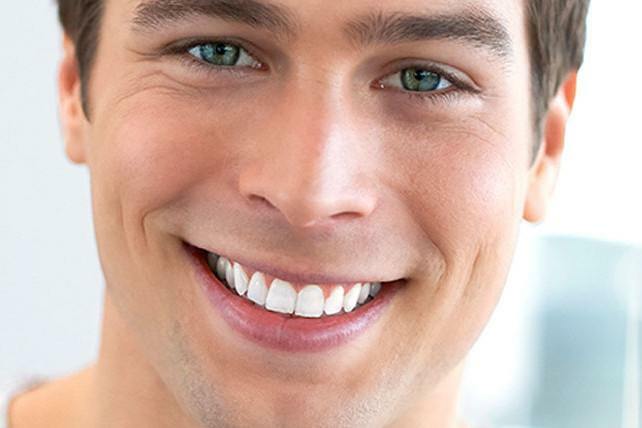 How Do the Aligners Help Straighten Your Teeth? As discussed, the aligners are like mouth guards, with a tight fit around your teeth. A mould of your teeth is made. The dentist then adjusts this mould and the aligners are made. Each aligner only makes a slight adjustment. Every 6 to 8 weeks, a new aligner is given, continuing the process of making slight adjustments, until your teeth are properly aligned. The process is carefully planned. With each aligner, only a specific set of teeth are adjusted. This ensures that only certain teeth can move. You will only need to wear them about 20 to 22 hours per day. They can be removed when eating or brushing. But, you will need to wear them while you sleep. The exact length will vary. Some people wear Invisalign aligners for 12 months, while others may wear them for 24 months. The length of time will depend on the condition of your teeth. Some people may only need the aligners for 6 months. The use of Invisalign aligners is most common with teenagers. But, adults can wear them as well. Though, during the teen years, the process may be easier to complete. Will the Treatment Be Painful or Uncomfortable? Some people experience moderate discomfort when they first put the aligners in their mouth. It can take several days to become accustomed to the aligners. Though, this discomfort also occurs when you choose traditional braces. The goal of Invisalign aligners is to move your teeth without causing any pain. But, temporary discomfort can occur. You may also experience discomfort after each new stage of treatment. This is normal and to be expected. The pain is due to the pressure of the aligners pushing your teeth in a specific direction. Again, this will generally pass within a couple of days. This minor discomfort is a sign that the aligners are working. They push the teeth in the proper direction. Will You Need to Wear a Retainer? Whether you wear braces or an Invisalign aligner, a retainer may be needed after treatment. This is done to prevent the teeth from slowly shifting back into their original position. The retainer may not need to be worn during the day. The exact treatment will depend on the condition of your teeth. 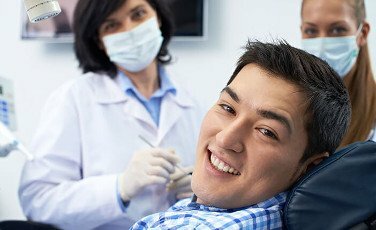 After treatment, you will continue visiting your dentist to determine if a retainer is necessary – and for how long. How Many People Have Used Invisalign Aligners? Over 4 million people around the world have used Invisalign aligners to achieve straighter teeth and fix alignment issues. This number grows daily, as people seek an alternative to traditional braces. Australian Dentists Clinic - Melbourne CBD 4.9 / 5 based on 100 reviews.